We are a renowned name that is actively committed towards offering qualitative Sago. Our provided Sago is available in various packaging options for our clients. Being a reliable entity, we are instrumental in supplying a large assortment of Sago Seed. Being the well-distinguished companies in the market, we are into offering Organic Sago Seeds. Sago Seed is an infant food and also food for invalids. Sago being a product from pure starch alone, it does not compare nutritionally with other food grains. However, as the product is already pre-cooked, it is quickly digestible and therefore normally does not give any digestive trouble. Sago (Sabudana seed) is an infant food and also food for invalids. Sago being a product from pure starch alone, it does not compare nutritionally with other food grains. However, as the product is already pre-cooked, it is quickly digestible and therefore normally does not give any digestive trouble. 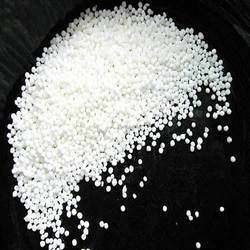 We are the supplier and manufacture of Sabudana or Sago. Sabudana is popularly known for its nutritious contents. It is a very tasty and healthy food item that is advised to be consumed on regular basis. Sabudana offered is a starchy substance that finds wide use in Indian cuisine. Being used as energy-boosting ingredients in side dishes, soups, puddings, these are highly popular as low-calorie foods as well as optimum source of protein and fiber.